While it may seem harmless to lavish affection on a dog, when an owner is teaching him to not jump on people, the last thing the pet needs is an enthusiastic stranger. Why? Because the problem has got so bad that some pet owners have started misrepresenting their pets as service dogs. And that could lead to some business-owners (illegally) denying entry to legitimate service animals if they get the wrong impression of a service dog’s behavioral standards. One website aims to educate business owners and the public about the situation. 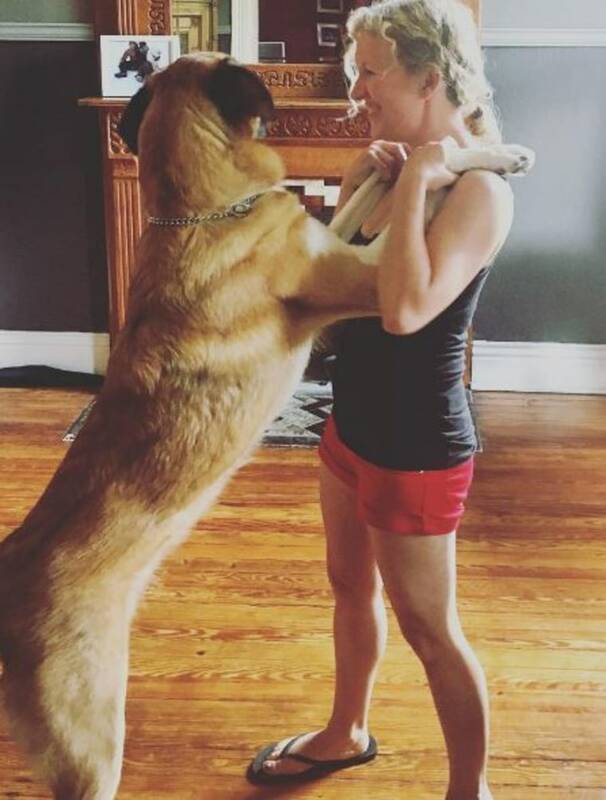 Bossoli and her husband created pleasedontpetme.com as a resource for the service dog community and a way to educate business owners and the public about working dogs. But it's not just service dogs that should be considered off limits. Another online community — DINOS, Dogs in Need of Space — aims to create safe spaces that all people and pets can enjoy. Their materials remind the public that not every dog is comfortable with unfamiliar dogs or people for reasons that could include injuries, illness, aging, or anxiety. Despite efforts from groups like these, anyone who's walked a puppy lately can attest that the message isn't out there yet. So it turns out Bossoli has still another task: to dissuade exasperated pet owners from misrepresenting their pets as service dogs. Handlers at the end of their leash with people who won't leave their pets alone have resorted to extreme measures; in hopes that it will quell unwanted attention, they're labeling their companions as service dogs. Not only does this not often help the original problem, says Bossoli, but it's a dangerous approach. While it may seem harmless to lavish affection on a dog, when an owner is teaching him to not jump on people, or to sit calmly while being pet, the last thing the pet needs is an enthusiastic stranger exclaiming “Oh, it's fine, I love dogs!” while the dog climbs all over them, Ohlmann said.